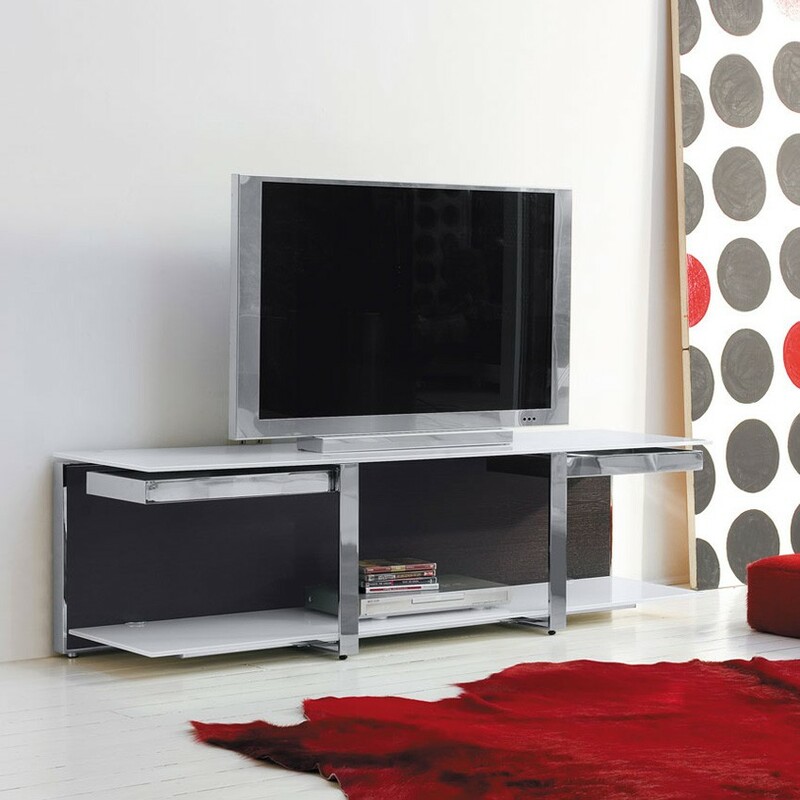 A sleek and contemporary TV disply unit with a chromed steel frame and two glass shelves in shiny lacquered glass (various colors). 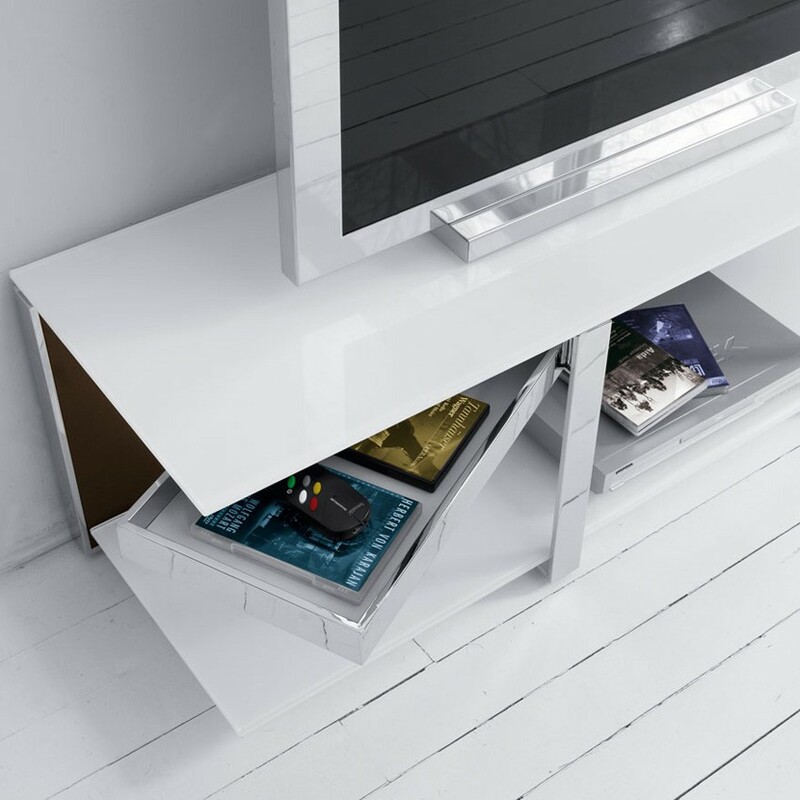 The back panel is availble in a selection of wood finishes or shiny/matt lacquered colors. The frame can be lacquered on request, please contact us for details.